Awesome people working hard to make everybody happy in one of the most important days of their lives? I mean, that pretty much says it all!!!! Hired HWHL for our wedding. Had a fantastic experience. From the booking process to meeting the DJ to the night of the wedding they were always easy to contact and had full focus on making sure the bride and groom were happy ( shout-out to our DJ Tom, who did a phenomenal job ). Would highly, highly recommend for any function! I just had Happy Wife Happy Happy Wife, Happy Life Entertainment Photo booth for my annual Xmas house party. Matt is super easy to talk to and was so accommodating (even though it was last minute). Charnelle Manraj really knew how to work that booth and got everyone involved! Nothing but great things to say….thanks again!!!!! HWHL DJ’d my wife’s Christmas party and they were awesome! Great on the mic and playing great music. Highly recommend for any event! They care about every detail. We used HWHL for our grand opening and Christmas party at WOW Lighting and Controls. They are nothing short of exceptional at what they do and the Photo Booths were a huge hit! Very Professional and accommodating. HWHL was an amazing addition to our party, thank you so much for the wonderful memories! Awesome experience for my daughter’s wedding. Matt is easy to deal with and leaves nothing to chance. Our DJ Steve was fantastic and had the dance floor hopping all the time. The photo booth was a huge hit and everyone used it. They are a 5-star experience that blended into the wedding without being intrusive. They truly go above and beyond any expectations. My husband and I had the best experience with Happy Wife, Happy Life at our wedding in September. Matt was extremely helpful in getting everything ready to go before the event date and was more than happy to help do whatever was needed to make the event go as smoothly as possible. We had an absolutely flawless ceremony and reception with Justin as the helm of the day-of music and couldn’t have asked for anything better! The dance floor at our reception was absolutely packed all evening and all of the music choices my husband and I picked for our event were executed flawlessly. I would HIGHLY recommend Happy Wife, Happy Life’s DJ services to anyone. HWHL is the best of the best! I’ve had the pleasure of working with them on a personal and professional level and there’s a reason they’re my #1 recommendation for anything DJ related. Matt, Tom and their team is unbelievable in terms of delivering a client experience. Can’t wait to work with you guys again! I was honoured to have Matt with Happy Wife Happy Life behind my recent fashion show charity gala. DJ Twix (Tom) was absolutely phenomenal!!!! He went so far above and beyond my expectations. He even pre mixed the show music to ensure everything blended seamlessly. As an event planner every detail needs to be absolutely perfect and with Happy Wife Happy Life you know your covered! Thank you again guys for making my event perfect! We had a really great experience. Matt communicated really well with us and would always answer all our questions. Our dj Dylan even came to the rehearsal to make sure everything went smoothly. The music was great and he kept the dance floor going. The only issue we had was at the ceremony, the dj left and packed up everything the moment the ceremony was done (Ceremony lasted 20 min). He took the microphone that we were using to announce family photos and we were almost done but he took the microphone and said he needed to go you our reception venue asap (even though reception didn’t start till 3 more hours). We had the most amazing night! DJ Twix ensured our evening was perfect! Happy Wife, Happy Life you guys are so well organized, timely and really get to know your clients well. You guys are awesome! Our DJ was tremendous, polite, organized, and professional. Everyone at our wedding said it was the best wedding ever. Part of that was because of the DJ! Matt was super helpful from the start. He always kept in contact with us and followed up throughout the planning process. Kevin kept everyone on the dance floor the entire night and our guests have nothing but good things to say about our DJ. Even though our church burned down the day before our wedding, our day still turned out amazing. Thank you to Matt and his team for making sure everything went smooth for us. We had happy wife happy life (Sean) rj our wedding. Talk about absolutely incredible!!!!!!! Worth every penny and more!!! Don’t even know where to begin. They came out early to set up and see where we were getting married so he had everything figured out. The dance floor was absolutely packed all night with young to older. The party never stoped. We had 250 people and everyone had good things to say about Sean. Sean was so professional and a blast to be around! Please if you are looking for a Dj go with them and you will not be disappointed. Matt was phenomenal to deal with from the minute we contacted him. Their personalized pages make planning for your event an absolute breeze and he was so good to check in with us periodically to see if we needed any help with anything. Even the way he engaged when tagged in Instagram posts showed a huge level of caring about his clients. Garret, who was our DJ for the evening, was top notch. He indulged every crazy music request from “Thank You” from the Moana soundtrack for the Moana crazed kids in the crowd to some 90s pop (hello Moffatts and Hanson) and even the requests of my rowdy Saskatchewan family. We requested to do a Longest Married Couple Dance and it turns out he had never done one of these before but he did an absolutely amazing job. My mom’s side of the family decided to do a big group round of shots and my sisters and aunts started chanting “Shots” from LMFAO and on the spot Garrett cued up the music for us! The music was on all night long and he was able to read the crowd really well. Hands down will be going back to them for future events! Thank you for all of your hard work, Matt and Justin. You were definitely integral to making sure my husband and I had a fantastic wedding day! What a fantastic company! They cost a little more, well worth every penny. 10/10 for Matt and his team. Oh my gosh!!!! My guests can not stop raving about how amazing DJ Twix and Leah were at our wedding. DJ Twix had my guests dancing non stop and was able to make ever single guest happy. He balanced, country songs, pop songs, classic rock AND Latin music perfectly! He was professional, prompt and so friendly. Leah, who ran the photo booth, was so friendly, fun and was able to coax my dad and stepmom into taking funny pictures! Basically if Happy Wife Happy Life Entertainment is not your choice for your wedding day, plan on having a lame wedding and bored guests. We had our wedding on August 18, 2018 and our DJ was DJ Twix. We have had such a great experience with Happy Wife Happy Life from the moment we had first contact via email to the end of our wedding night. Matt, one of the owners, was quick at replying to all of our questions and super helpful with the planning. Their booking/online system is really organized and easy to use. We made it known that we wanted a very fun party and music was huge to us. They absolutely did not disappoint. Dj Twix was so much fun. He made sure to play our request list but also made it even more fun with other music he found fit to our style. This was everything and more I could ask for from a dj for our wedding. We were extremely happy and our guests had a blast too. Thank you Happy Wife Happy Life!! You sure live up to your name. Finally settling down after a high of a wedding with my now, wife, to make sure we recognize and give praise to all involved that made our wedding day a special day to forever remember. In this case, the praise goes out to Happy Wife Happy Life Entertainment. From the beginning of this experience Matt had been helpful and supportive in answering all our questions and helping with our wedding music selection. During our rehearsal and the day of the Wedding our, we met our DJ, Tom Wilcox, first impressions, he was so thoughtful and genuine. We couldn’t not have had picked a better DJ. He was attentive and made sure everyone was entertained and had a fun time from throughout the evening. If anyone is looking to hire a company to handle their Wedding, Hands down, you don’t need to look anywhere else. Thank you again to Tom and Matt for making our Wedding Day that much more special! If you are getting married this is THE ONE!! They have a specialized website that you can add/ change/ delete etc everything you could possibly think of when it comes to your wedding sound needs. The service is so professional and they are great to deal with. The DJ on site was so awesome and played fantastic songs!! We were so happy with these fellas!!! This company is very professional, organized, customer oriented and always on top of things. My wedding DJ was Justin. He was wonderful. Since my wedding had a mixture of Persian- Candadian music, i thought transitioning between songs be a bit hard but Justin made it really smooth and wonderful and our guests were constantly on the dance floor dancing. This team with the fantastic leadership from Matt is awesome. They communicate really well with the customer through a personslized page where you can put all the expectation and a list of songs. I really think it was pretty professional and neat. Thanks again Happy wife, Happy life especially Matt and Justin for making my special day memorable. But far top notch service from beginning to end and very professional! WOW WOW WOW is all i can say. What an incredible company to work with!! From the minute I inquired all the way to 2am when we were still dancing the night away at the wedding! Matt responded to my emails so quickly and at all times of the day or night. The personalized website that is created is an incredible tool to make sure you don’t forget a thing for the big day! I hand picked all of the music for cocktail hour and dinner and they did not miss a thing. Dwayne was our DJ extraordinaire for the night and could not have asked for anyone better. He was on point with all music we selected, was energetic, professional and all around fun to work with! He even tore up the dance floor with us near the end of the night, what a riiioottt!! If you are still hesitating, LOOK NO FURTHER. HIRE THIS INCREDIBLE COMPANY NOW!!! This company is amazing in every way! The staff is helpful, flexible, and punctual. They went above and beyond to ensure that our wedding day was stress free, and that the dance floor was full all night. All of our guests loved the photo booth also! 10/10 would hire again, and will be recommending them to all my friends! Booking this company was the best decision we made for our wedding !! Our DJ ( Jeffery! I’m terrible with names) seriously kept the party going !! I think only once there was less than 10 people on the dance floor ( everyone was out getting drinks) BOOK THEM YOU WILL NOT FORGET IT ! HIRE THIS COMPANY – if you can. There’s a reason why they are booked so fast, it’s because they are amazing to work with and they can put on a great party. Matt was super helpful from the start, never nagging us for anything but still ensuring we got everything finished for him that needed to be completed. Despite having our wedding on the busiest day of the year, everything was ready to go and our DJ took all of my insane music requests and absolutely killed it! Steven was able to keep us dancing till the lights came on at 2 even after a long day of wedding events. We could not be happier with what they were able to make happen for us. Thank you from the bottom of our hearts for your great work with our reception! We had a blast with you guys! The team that came to set up were so helpful. They were informative as to how the event would go. Our DJ for the evening did a amazing job he gave me go such assistance with our video and presentation. He played the music we wanted for this anniversary party and he even gave me tips on how to make my own Mac laptop run better. I really appreciated it. Happy Wife Happy Life was a great addition to our wedding two weeks ago. Since we contacted them about being a part of our day, they were very quick to answer any questions or help out in any way possible. Matt was very professional and made sure that every detail was taken care of on our big day & did a great job with a last minute ceremony addition. I worked with DJ Twix in Saskatoon & was great to have him be a part of our day. He did the audio for our ceremony & was our DJ for our reception. He kept the dance floor packed & the music was great! Highly recommend using Happy Wife Happy Life for any of your wedding/party needs! Happy Wife Happy Life was amazing to work with right from the moment we booked them right until our last guests left the wedding. Throughout the planning stages, Matt was super helpful and quickly answered all my emails. Their website is also probably one of the easiest planning tools I’ve ever used! The day before the wedding, they showed up earlier than I even expected and were very eager to help not just with their own setup, but with helping to iron out any issues that came up along the way. When we did a test run of our slideshow, we couldn’t get it to play properly. Matt quickly jumped in, and started showing me how to use different programs to help the slideshow play properly. At our wedding, Sean Lamb was our DJ and MC. He was amazing. Right from when the dance started until we had to shut it down, the dance floor was packed. I had multiple people tell me that they were not used to dancing so much, and they never wanted to sit down and take a break because every song played was so good! We also had a photo booth which was a huge hit! There was almost always a group of people in front of the camera! Absolutely amazing at my wedding last night. Both DJ and photo-booth were fantastic. Big Thanks to HappyWife Happy Life for making our wedding a remarkable night. Our wedding went so smooth because of Happy Wife Happy life. Their organization skills are amazing, and had no problems jumping in to help or filling gaps in music that we had. The night was amazing. Placed an order and they answered within seconds. Can’t wait for my order. You’re the best. Matt and Steve did such a great job for our family reunion. Steve was our DJ and he was professional and accommodating. Awesome job guys! Right from the start happy wife happy life were amazing. Matt was very responsive to what ever questions I had. I was alittle worried about the dance floor being empty all night, but to my surprise the dance floor was always packed and that had everything to do with our DJ. Thank you guys for making our night memorable and by giving us one less thing to worry about!! We used happy wife happy life for our wedding this past Saturday!! Everything was amazing and ran extremely smooth! Our DJ managed to play everyone’s requests, and keep most guests on the floor all night!! Would use them again in a heart beat! We had our wedding last week and we cannot say enough great things about this company! They went above and beyond to make sure our day was perfect! I would highly recommend booking with them to anyone! DJ Twix kept the dance floor packed all night, the Photobooth was a huge hit, and the uplighting they rented to us was breathtaking! Thank you so much!! We had a Happy Wife Happy Life DJ and photo booth at our wedding reception. We also had the same DJ at our ceremony. First of all, dealing with Matt is an event planners dream. He is so organized and knowledgeable and responds so quickly to any inquiries or requests. I would hire them again in a heart beat. They really went the extra mile and then some to make sure our wedding day was beyond perfect. After the wait staff at the wedding threw out a bunch of our photo booth prints, Matt made sure to print extras for us so we could enjoy them! THE BEST DJ EVER!!. They check up on you constantly to make sure you’re happy. He even helped me set up some of my decor and checked in on me the day of… like, come on – TOO NICE! So entertaining, so accommodating and super friendly. My guests said it was the best wedding they’ve ever been to. Everyone was dancing all night long. They go above and beyond to make the party a blast. The lights weren’t too much and didn’t take away from the mood or decor. It was absolutely PERFECT!! THANK YOU GUYS! 100100000000% recommend. Stop searching for other DJs . You’ve found “the one”. Trust me. I can’t say enough about how pleased we are to have had Happy Wife Happy Life for our wedding this past weekend! Everyone had a blast and our day was so perfect! Everything was so easy and laid out nicely!! My guests loved the photo booth too! All the kids had a blast! I would recommend to anyone looking!!! Thanks so much guys! A great big thanks to Steve for being such a fun dj at our birthday party. Steve was very friendly, professional and accommodating. He offered to set up his equipment early in the day so that we could transition into the dancing portion of our evening seamlessly. People made a lot of requests and he did a great job catering to all. Many of our guests commented on the great music throughout the night. We highly recommend Steve!! I am a Minister and I have just met Matt from Happy Wife Happy life at a wedding venue I was officiating, at Snow Valley Lodge on July 6th 2018. He worked so well with me and we coordinated amazing well . He is one of the best DJ’S I have seen in along time. Interacting well with the crowd and acknowledging everybody at the wedding. I am hoping to see more of this young energetic man at the weddings I perform. I truly cannot say enough good things about Happy Wife Happy Life. I stumbled upon them coincidentally and they we’re so amazing to deal with for our wedding. Matt and his crew are BEYOND accommodating and honestly just want to make the day and joyous as possible. DJ Twix was outstanding too! We also rented a photo booth with them and it was one of the biggest highlights of the whole night. You are crazy if you don’t use them for your next event! Just a fantastic set of guys. Highly recommended them for any event!!!!!!! Our guests had an amazing time at our wedding. Dylan played all of our must plays and kept everyone dancing all night. Even teaching us a line dance!! Working with Matt was great and every time we spoke I felt better about the entire planning process. I will for sure be using them again and will be recommending them to everyone. Thank you so much for being apart of our special day and making it that much more special! Happy Wife Happy Life were awesome to work with for our wedding. They provided music for our ceremony and reception. The personalized web page was a user friendly, easy way to choose all of our music. Prior to the wedding Matt checked up on us often to make sure all of our needs were met. They were very flexible with our last minute changes and they made the whole process easy. Definitely would recommend them! These guys are so easy to work with, and definitely know how to start a party. They’re highly responsive and have maintain fantastic communication, and the customized page makes planning a breeze. Matt kept our guests on the dance floor all night, and we received nothing but exceptional reviews. The photobooth was a huge hit. Highly recommend. Hands down the best. Just had my wedding reception last night and we couldn’t of been happier with our DJ service provided along with our photobooth as well. The DJ read our crowd well and kept playing till we said to shut it down. If you dont choose happy wife happy life you will regret it! Will use again in the future for any other events! Our wedding celebration was last night and my husband and I could not have been more impressed with the seamless service we received from Happy Wife Happy Life. Their process is so easy, and everything was set up in no time! On the day of our wedding we had a small hiccup with having no microphone for the ceremony (from a different supplier) and Matt from HWHL helped us without an issue! We were able to relax and know that we were in good hands. When the night of the dance began, the program was executed wonderfully, not a single glitch. Our DJ for the evening was so pleasant and friendly! The music was exactly what we wanted and their selections were in sync with our guests. I am so thrilled with the service we received and I encourage everyone to book with Matt for your next event. First heard of this company at another wedding I attended and fell in love instantly. They had Kevin Hayes as the DJ that night, when it came time for booking ours we were able to get Kevin for ours as well. Best DJ experience I could of asked for! Professional, courteous, and well dressed! If you’re looking for a professional and amazing team of all stars who are very affordable to run your next photo booth, look no further. Everyone in the process from the quote, to the event template, to the setup and tear down, and the person on site were incredible. Our event was extra awesome thanks to Happy wife, happy life! I will refer them to everyone! A huge thank you to Steve for being an amazing DJ at a birthday party last night, the music couldn’t have been better-kept everyone dancing and having a great time for hours! Thanks as well to Matt and his crew for setting up ahead of time and ensuring the sound system was good to go beforehand so everything ran smoothly! I would highly recommend these guys for any event and will be sure to call them up for the next one! Delivered as promised and went the extra mile for us in setup and initial meetings. Read the crowd well and were sensitive to required music volume. Very organized up front and durGoing out event. DJ was very on the ball and worked seamlessly with our MC. Thank you for a great wedding! This company was well organized, quick to respond and we were paired up with a DJ that best suited what we wanted- a great party! WOW, this team is absolutely amazing! They get great reviews all the time so I’m not sure what else I can really add…but I will try! We worked with Matt for most of the planning and DJ Twix (Tom) for more planning/on the big day…these two MADE our day! My husband had said only one planning item mattered to him, the DJ. Clearly I had to let him have it and I’m SOOO stinkin’ glad I did! Twix was his choice, it needed to be Twix haha! I wasn’t as sure, a DJ is a DJ right?! WRONG! We met Tom at a wedding planning function, he is just the nicest guy! My husband asked me to reach out and book him right away, he literally made me write the email in the car on the way home hahah. That is when we met Matt! Matt got back to me in minutes, seriously! I had an email back from him before we even got home! With the back and forth of quotes and paperwork, we had HWHL booked before dinner! They make it super stress free! I had gotten quotes from multiple companies and spoke to multiple people before this but when I started to work with Matt I just knew he was my style! Attentive, organized, straight forward, professional. All the things that let a stressed out Bride relax a little. AND he was excited to work with us! This ends up meaning more then you think by the end of planning! These two TRUELY helped me SOO much in the planning process! I can’t even begin to thank them! We ended up hiring them for everything we could! We used their services for DJing, MCing, Photobooth, uplighting and our ceremony! I would have had them sew my dress and drive us there if I could have! They are that good at what they do, that trustworthy and they make you feel so special! Not once did I feel like we were one of hundreds of weddings. Every time we met or spoke I felt like we had their full focus! There is just too much I could write…I have SO many examples of suggestions that saved the day, times they stepped up when they didn’t have to and just simply times they ROCKED it! I can’t say enough good things about Happy Wife Happy Life, Matt and Twix (Tom)!! Matt made planning easy, and we had a full dance floor all night! Thank you for the amazing DJ services! Kevin was the DJ at our wedding last night and he did the best job ever. No one complained about the music, the volume or anything else. If someone requested a song it got played and Kevin was willing to participate in anything we asked! Thank you so much for making our special day and night better than we could have ever imagined! 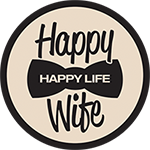 We used Happy Wife Happy Life for our Corporate event and they were fantastic. Would happily recommend. Working with Matt was a pleasure from beginning to end! He was ready to help in a pinch when other vendors were struggling. He made sure the whole night was perfect for us. The music was awesome, our guests really enjoyed the party! We put our trust in Matt and he rocked!!! What great service. Happy Wife Happy Life were prompt and courteous. They were so responsive to emails and their attention to detail ensured that our event went smoothly. They were professional throughout the entire process yet didn’t forget to bring the fun! We had an amazing experience with you guys! Thank you for being part of our charity event and entertaining our guests with great music! Great company to hire for the wedding! Reliable, prompt, and very customer service oriented. Matt was great and easy to work with and DJ Justin went above and beyond to satisfy us. All my guests loved the music! 110% would recommend Happy Wife Happy Life! Matt was amazing throughout the whole planning process, and he truly understands that prompt positive responses to customers is key! I think you could request that he bring a unicorn to dance at your wedding and he would figure out a way to make it work with a smile on his face! His team makes everything so stress-free and they become great friends along the way. We hired Happy Wife Happy Life to DJ our ceremony as well as reception and dance; we also got the photo booth and rented uplighting through them. Everything was excellent! They are truly a vendor that will go above and beyond for you. We had Sean Lamb as our DJ and he also did an amazing job being the MC for our wedding. Sean basically ran the show and made our day perfect! Not to mention, he also transformed our hall by setting up the uplighting and he helped us out at our rehearsal. We can’t thank him enough for all his hard work! I understand why Happy Wife Happy Life has all the raving reviews that they do… we wouldn’t hire anyone else! Could not be happier with our choice of hiring Happy Wife Happy Life for our wedding Oct 7. The DJ we were assigned became ill last minute and Matt personally came and made sure our ceremony music was perfect and explained what happened in person. He ensured we had a replacement DJ for our reception and everything went off without a hitch. Dylan stepped in last minute as DJ and absolutely killed it! From working music in to the speeches at the MC’s request to setting up a guest with a microphone so he could perform a rap (after getting the bride’s approval of course). He kept the dance floor packed the ENTIRE night. The only complaint I heard from guests is that they were so tired because they couldn’t sit down as he didn’t play any bad songs. So appreciative to Matt and Dylan for making our wedding day even more perfect! Out of all the decision making that went into wedding planning, hiring happy wife happy life for our DJ was hands down the best decision we made!! The owner Matt is extremely helpful, responsive, professional and organised. He was always quick to reply to questions with thorough answers, and the personalised webpage made it very easy to communicate the songs we chose and our music preferences! DJ Twix was our DJ and was seriously amazing. He did our ceremony music and reception, and played the music for our slideshow and it was perfect! I didn’t meet him until sometime between the ceremony and reception, but he had already talked with our MCs and our JP, and learned from our families about special stories behind the songs the little ring bearers wanted to hear so he could make sure they were played! I didn’t have to do a thing, he took care of everything! The dance floor was packed all night and everyone had a blast! Thanks so much for everything! We also had our photo booth through them and it was a big hit with all our guests!! These guys are so thorough and personable, they made our day a dream come true. Would recommend to anyone. We had DJ Sean Lamb for our wedding this past weekend. Sean kept the dance floor going all night long. I received many compliments on how good the DJ was. He even played a few more songs after 2 am for us as we weren’t quite ready to shut it down yet! Matt was AMAZING to deal with, replied to my emails right away and their forum to fill out before the wedding is also a great way to ensure everything went smoothly!! Nothing but good things to say about Happy Wife Happy Life! We hired them for our ceremony and reception in Canmore! Matt was professional and super easy to deal with, you can definitely tell he cares about his clientele. Matt’s communication was on point and the service was even better. I had the pleasure of having my man DJ Twix on the steel wheels. Can’t say enough about how much Twix cares about what he is doing. He knows exactly how to get a crowd moving, knows exactly what to play when the time is right, and is a down to earth dude that makes everything much more enjoyable! I am very picky when it comes down to picking a proper DJ. When I decided to go with Twix and Happy Wife Happy Life, I knew it was one less thing I had to worry about when it came to the wedding planning process. Couldn’t have asked for a better DJ. My friends and family from all over the world, from the young to the old, had nothing but positive things to say about Twix. “The DJ was amazing!” “Twix killed it!” They are still vibing from that night and wished we didn’t have to shut it down. Twix played all types of genres from old school, to the new. My mom was worried about whether the DJ we got could mix Bollywood/cultured music. Towards the end of the night I asked her so what do you think of the DJ? With a grin on her face she goes, he’s my buddy and he’s the best, all while going to give Twix a high five! Need a real DJ who knows whats up? Get at Happy Wife Happy Life, they will not disappoint! Twix was so good that I might have to get a divorce just to hire him again! We had our wedding a couple weeks ago, and the photo booth was a hit, the props were great, everybody loved getting their own copy of the photos. I definitely recommend them! And the attendant and staff were awesome and easy to work with. The overall experience was great! I wish I could give more stars!! The service we received for our wedding on Sept 16 was absolutely incredible!! DJ Twix was amazing! The dance floor was full the entire evening! He was also our MC and he made everyone feel comfortable and welcome! I can’t thank you guys enough!!!!!! Where do I even start!? We hired Happy Wife Happy Life for our wedding DJ and Photobooth. We couldn’t have asked for better service! From the date we booked, right up until our wedding, Matt was extremely professional and great at staying in touch. The personalized webpage was great for keeping all our details organized and updated as we made changes throughout the planning process. We also had the help of a graphic designer to make our photobooth template to match our decor and theme of the night- all of these little touches made for a wonderful experience. Our guests had a blast with the photobooth, and our dance floor was packed right up until the end of the night when the lights came back on (which was super important to us)! A million thank you’s to Matt and his team- you guys are phenomenal! Matt and his team are amazing!! We hired them for our wedding. Mike was fantastic! Everyone loved him. The music he played was bang on for our crowd. We have heard nothing but great things about him and the music he played! We were worried we wouldn’t have people dancing! But we did, all night long! Thanks again Matt and Mike! You guys are amazing! Very professional, easy to work with and they are always quick to respond whenever we had a question about something! I’ll recommend Happy Wife Happy Life to everyone I know! Thanks again for making my Wedding epic and bringing to life the rave like experience we wanted. We hired Happy Wife Happy Life for our July wedding. Matt was professional and so easy to work with through the planning process. Tom Wilcox was our DJ and he was AMAZING! He read the crowd perfectly and played a bit of something for everyone. The dance floor was packed all night long! Our guests had nothing but great things to say about our DJ. My husband and I couldn’t have had a more perfect wedding night. Thanks Tom & Matt! Happy Wife Happy Life was a fantastic company to work with. From setting everything up with Matt, to their very useful website, to the event itself. Everything worked great and was easy. Absolutely recommend this company and there is a reason they come so highly recommended. When you’re planning your wedding, and you’ve got the stresses of researching and booking the giant list of things to research and book, don’t bother looking around for a wedding DJ, just book with Happy Wife Happy Life. The professionalism from the get go with Matt and his team was incredible. The customizable webpage makes it seamless to get all the songs picked and lined up for whatever your event timeline is, at any time. They were at the venue set up, tested and ready to go almost 6 hours before the reception. Justin was our DJ. We received so many compliments on how he knew exactly what the crowd wanted/needed to hear, and even played songs for the bride when she ‘forgot’ that it was played already. Flawless. Thank you so so much to Matt and his team! We hired Happy Wife Happy Life for our wedding yesterday, August 19, and it was the best choice we could have made! Matt is so genuine about his work, and he truly cares about every one of his clients. He is extremely prompt with answering emails, and he made the whole dj/music planning process incredibly easy! We had dj Kevin Hayes and he was such a gem! Such a kind hearted person, so so caring, so flexible, and made our dream wedding come to life! Even with day of last minute requests, he handled everything so smoothly. I couldn’t have asked for a better dj. Kevin, the dance floor wasn’t empty for a single second throughout the night and you are to thank for that! Thanks for reading the crowd so well and for interacting with the crowd as well! Kevin went above and beyond for us and I couldn’t thank him enough! Thanks Matt and Kevin, best decision ever to hire Happy Wife Happy Life!! I was thrilled with the service Happy Wife Happy Life provided. Communication was prompt and easy, there were absolutely no hang-ups or complications, and DJ Kevin Hayes had the dance floor packed all night. It was very important to me to throw a good party, and not to have an empty dance floor; Kevin had kids from 4, all the way up to relatives in their 80s on the dance floor. Could not be happier. Thank you for making our wedding so memorable!!!! Amazing job! The whole Happy Wife Happy Life team went above and beyond to make our wedding a fun event! Matt was so responsive for setting of our DJ services and was helpful with any questions we had! The personalized website made song selection and planning so easy! The set up team were professional and able to accommodate the specific set up needs for our reception hall! So helpful! Finally, our DJ Sean Lamb was amazing! He kept everyone dancing and having a great time! He was pleasant and professional! We couldn’t have asked for more! So many of our guests commented on how good the DJ was! THANK YOU to the whole Happy Wife Happy Life team!!! Highly recommended!! Matt was awesome, every time I spoke with him he spent more than enough time ensuring we had everything we needed and that we were comfortable. Kevin our DJ kept the party going all night. Our wedding went amazingly well, and Happy Wife Happy Life was a big part of that. Wow what a great evening we had with DJ Mike Holloway!! The guests really enjoyed the music, Mike had everyone up dancing! The photo booth was so much fun, everyone had a blast! Thank you so much Happy Wife, Happy Life Entertainment, you truly helped make it a perfect evening! We would highly recommend you to anyone looking for the best DJ’s in the business!! These guys really care and work hard to be the only company you need to call for your next event! WOW!! What a wonderful experience my Husband and myself had with this company! From the first meeting with Matt to the lead up to the event to the day of, everything was smooth and easy! The online form to fill out for our music was easy to use and gave us confidence that everything would go smoothly. Matt was actually able to DJ our wedding which was 100% the best part for my Husband as the music was the biggest deal for him (even though he was barely found on the dance floor). We did not have a huge amount of dancing from people but the music was a hit and I had tons of compliments on the songs that played. Matt made sure that we had our Ceremony Music for our sound guys even before he was supposed to be set up! I would highly recommend these professional and fun gentlemen for any event. 10/10 !! I am so impressed with this company and would 100% recommend them. They were super responsive to all questions and inquiries, organized and send reminders as the day gets closer to insure they are meeting all our needs. Matt was able to customize my father daughter dance song and our photo booth display. They were so accommodating. Our DJ Tommy (TWIX) was amazing – kept the dance floor going the entire night and knew just what to play to get the party started and going. They were super friendly and were such a breath of fresh air to deal with as a wedding vendor. No words can describe how thankful I am for them. I can’t thank these guys enough for the amazing job they did. DJ Mike Holloway made the dance floor rock all night long and had such smooth transitions to different songs. All my guests were having a blast. The photo booth was tons of fun and was busy all night with people of all ages being silly. Between the DJ and the photo booth, everyone was brought together and had a great time. The dance floor and photo both were never empty! I would highly recommend this to anyone planning an event. Happy wife happy life made our wedding day PERFECT. Our Dj was Garret and made sure the whole night was going good and kept checking up on us which made us felt so good that he truly cared! He constantly had EVERYONE up on the dance floor which was amazing. Seriously can’t say enough good things about Matt and Garret and the company. Definitely will be recommending to everyone. We hired HWHL on the recommendation of our wedding planner, and are very happy we did! From the start, the process was flawless. We met with Matt to learn about him and his company, and for him to hear our vision for the wedding, and then every step of the way after that was great, with clear communication, nice reminders, super fast response times, and a great website where we could put in our music choices ahead of time. The DJ team followed up with me to make sure that the ceremony music was correct, which I really appreciated, since I had chosen lesser-known classical pieces, some of which have different versions (piano, solo singer, etc. ), and they wanted to ensure it was the correct one. Matt is a people person, he has a way of making you feel instantly at ease, and he was very patient explaining all of their services to us. Finally, we also ordered lighting from them and a photo booth. Before the wedding they offered a free custom design service, which was great. I was able to show my vision to the designer Gabe (a crappy mockup in MS Paint might I add), and he worked his magic to make a template that was perfect. On the day of, everything was great with the lighting, and the photo booth was a huge hit, with people taking photos all evening. The attendant (sorry I forgot her name, Amy I think?) was helpful and friendly, and the props made it extra fun. And the best part was the there was unlimited printouts for the guests to take home, and they could also email it to themselves (though the text messaging on the computer didn’t seem to work, at least not on my phone. But it didn’t matter much, since after the wedding Matt kindly sent me an email with all the photos too). I can’t say enough about HWHL – they know how to run a business and make their customers happy! They aren’t the cheapest DJ company out there, far from it, but it’s one of those times where you get what you pay for. Thank you, Matt, Sean, DJ Twixx, Amy(? ), and Gabe, for making our wedding so memorable! I can’t say enough about how amazing this company is. The owner Matt is the best. Has the best customer service, attitude and was 100% amazing to deal with through our whole planning process. He responded to emails almost instantly and was always available when I had questions about anything. We had DJ Twixx for our ceremony and reception and he was also amazing. Super easy going, very very personable and easy to talk to and was 100% there when we needed anything at all. When we met both Matt and DJ Twixx we instantly connected and we got along with them so well which definitely made everything much less stressful and easier to plan. They made our wedding the most amazing day. I am SO glad that we chose them as our DJ company. Such a positive experience with Happy Wife, Happy Life! I booked their photo booth for our wedding. Matt and his team were super responsive and professional. They designed a custom template for us, and his designer did an amazing job! Matt’s response rate to inquires was often within minutes!, which was really impressive. The gal that ran the photo booth was also amazing, very friendly and great to deal with! Would absolutely recommend to anyone! My wife and I got married this past weekend. We had DJ Low Kee as our DJ. He was amazing he had everybody dancing all night long. Happy Wife Happy Life as a whole does an excellent job. They are very friendly and Helpful. I would recommend this company for any occasion. Very Satisfied. Matt & Tom you guys are awesome! The care and professionalism you showed was remarkable. Tom your attention to detail during our ceremony was unparalleled, and the way you kept the dance floor bumpin’ during the reception was fantastic! In our eyes you guys stand as the best and we will not hesitate to let anyone know about how great the service was. We appreciate all your hard work and dedication to make our day special. Thank you from the bottom of our hearts! Happy Life was an amazing company to work with. Service was great with no problems! Our DJ (DJ Mitch) was awesome and kept the party going all night! We had a photobooth which was awesome for all the guests! Definitely hire this company! You won’t regret it!!! They did an amazing job! Dance floor was never empty and we danced until the very end! Was amazing with requests, downloaded music on the spot if needed! Thank you so much DJ Mike Holloway, you were great! We had DJ Justin from Happy Wife Happy Life for our wedding ceremony and reception. And he ran it like a boss. The music program was perfect for the ceremony and reception and he did everything that was requested. He kept the party and dance floor alive all the way to the end. If you’re looking for a DJ that knows what he’s doing, we RECOMMEND Justin. Matt, the owner, was quick with responses and never leaves you hanging. He cares about his business, cares about his staff, and most definitely his clients. Very easy to work with. DJ played our requests as they came. They followed our sheet very well, including things not to play and specific requests. Very open about communication, and very good price which included a personalized page and ceremony music. Great wedding DJ! They were amazing came in and set up the day before, they played all the music I requested and were very open to playing what the crowd wanted. Great service. Would recommend to everyone! My wedding would not nearly have been as special without these guys. They read my mind and as soon as they arrived made me feel so calm about everything. They said “we got you” and they really did! Happy wife happy life took a few of my music suggestions and ran with them and were so affordable working within my budget, I’d recommend them in a heart beat!! Ps. DJ Twix was my dj and he absolutely killed it. Loved it as well as Mitch the wonderful man running it. It was a lot of fun and so compatible with social media and phones. Would definitely 100% recommend these wonderful men to anyone who needs! Happy Wife Happy Life was amazing to work with. Matt was very responsive to emails during the planning process and answered any questions that we had. The entire interaction with the team was very professional. DJ Sean Lamb did the music for our ceremony, cocktail hour and reception. He did a great job in playing a variety of types of music. We also got their photobooth, which was a big hit, all the guests loved it! At first there was a problem and the photobooth wasn’t working, but within no time they had someone in fixing it. During this time Sean made sure to keep us informed on what was going on and then extended our time to make up for the little bit of loss time. Matt and Sean where both great to work with and I would recommend Happy Wife Happy Life to anyone needing a DJ! Twix, you did an amazing job at our wedding. You had people on the dance floor all night right up til we got shut down. You know you had a good night when people from the other wedding crashed ours because of the music. We love you !! Thank you for making our day special and memorable!! Ps. BEST FIRST DANCE EVER !! Our entire experience with Happy Wife Happy Life exceeded any expectations! They were really on top of preparing, they helped us with last minute mishaps with the slideshow, accommodated all of our timing requests and were brilliant with our first dance and grand entrance. Our guests were dancing all night. Booking with them was a breeze and our DJ, Kevin was a blast! We had DJ Twix at both our ceremony and reception and he was AWESOME!!! Professional, friendly, and really read the crowd well… the dance floor was packed all night!! Matt was so easy to communicate with and very prompt with responding to emails! We would definitely recommend using this company. Thank you so much for keeping the party going at the Todyruk-Chick wedding! DJ was amazing and the photo-booth girl made the night extra special. Set up was well organized, music was well chosen and everyone seemed to take full advantage of expressing their wild side in the photo booth. Our eternal gratitude for proving why you’re the best!!!!!! Thank you very much to Happylifehappywife for making my daughter’s wedding to be perfect by providing us with excellent service, high quality equipment and energetic music that brought together on the dance floor both old and younger generations! Huge thank to you Matt for organizing things, always staying in touch, reminding us if things that were needed to be done, responding to us promptly and being available at any time. And finally sincere thank you to DJ Twix (Tom Wilcox) for being an awesome DJ. He made night flow smoothly with awesome tunes that were both his and our picks, he was attentive to help us our, with ease excepted any requests that flew his way. Especially he did fantastic job on working together with our MC, who he met on the day of our wedding, to the point that no-one knew that those two people only met each other for the first time that night! Thank you guys sooooo much for making it truly memorable and great night!!! Happy Wife Happy Life was the dj service for our wedding. They did our ceremony, cocktail hour and reception. They were very professional, organized and played great music. We would definitely recommend them for any event. They DJed our wedding last October and we heard nothing but fantastic compliments from all our guests! They kept the dance floor going and everyone had a blast! I would use them again in a heart beat. Thanks for being a part of our special day. Wonderful company to work with! Very professional and willing to work with me and the unconventional needs that I required for my event. Definitely recommend to everyone looking for DJ and Photo booth services. Working with HWHL was seamless from the start to the end of the night. They were exactly what we were looking for in a DJ. They brought their own lights which added a great touch for the dance party. They were very professional and accommodated all requests from older and young guests. I highly recommend them as you won’t need to worry about the music part of your special day. Good job DJ Twix! Out of the 55 weddings we bartended in 2016, I can confidently say that HWHL was hands down the best DJ all year. The music selection, mixing ability and MC skills of DJ Kevin Hayes was unbelievable. They rescued a wedding DJ nightmare 3 days prior to the wedding, and blew it out of the park. On top of that, the customer service provided by Matt Fossey is the best in the business. He will make the process of booking your DJ seamless, and affordable! I would highly recommend Happy Wife Happy Life for any wedding, corporate or even private event! These guys were awesome! We had a blast at bridal fantasy with them! They last minute were willing to help us out of a bind with a photo boothif ours didn’t show up. Our DJ didn’t stop until we got un plugged! They were amazing to talk to and deal with. I wouldn’t recommend anyone else! Might have to have a vow renewal just to hire them again!!!! I can honestly say, without one single ounce of doubt, that if you are looking for an above superior DJ experience, then you must hire this company. They not only helped my husband and I out of a terribly disappointing and discouraging experience with another DJ company, but they did us the biggest favour by both financially saving us money as well as the owner quite simply put it “just helping people out”. The DJ we had at our wedding was Kevin Hayes and he was quite honestly the most incredible DJ I have ever seen in my life. My husband and I are both very passionate about the type of music we like and would want to listen to on this very special day. Not only did our DJ do exactly this, but he excelled even further to continue on with the genre we liked as well as what got the crowd dancing. At one point I think almost every single guest was out on that dance floor. It was almost as if he had the generations, with very different tastes in music, united. On top of all of this, the company was not only incredibly receptive and respectful during our communications with them, they were trustworthy and made us feel like they would do everything in their power to ensure our day was the best it could be. The DJ is such a very important component of a wedding and I would never recommend anyone else than this company. The owner Matt is also phenomenal to deal with and hires DJs with only the highest caliber of charisma/personality and skill. DJ Kevin even stepped into not only DJ’ing the wedding, but taking on the role of our MC just 36 hours or so before our actual wedding He was hilarious and interactive with every single person in that crowd. The DJ took requests and played all of the more unique song choices we had personally asked to have played. He was energetic, fun and outgoing. Honestly, I could continue on and on for pages about why you should hire this company, but I am telling you….you WILL NOT regret this decision. I hired Happy Wife Happy Life for my wedding in Banff in September. Matt was our DJ and MC, he was absolutely amazing! So organized, helpful and quick to respond to all of my questions. He made sure everything ran smoothly from start to finish. The Music was awesome and the dance floor was packed the entire night. All of our friends and family absolutely loved Matt and have not stopped commenting on how great he was since our wedding 3 months ago! Thank you so much Matt for making our day so memorable and so much fun not only for us but all of our guests. The DJ plays such an important role in your wedding day, if you are looking for a professional, fun group of guys to DJ your wedding look no further. Your guests will LOVE them! I highly recommend Happy Wife Happy Life you won’t get better service anywhere else. Happy Wife, Happy Life was the absolute best choice for our wedding. They were easy to communicate and plan with, any questions we had we answered promptly, and the whole team is super professional. Their audio set-up was flawless, and their DJ Brendan was amazing. We did a really fun Late 90s and early 2000s Throwback music theme and he absolutely killed it. It’s been a month since we got married and people are still telling me how great the music was. Plus they’ve got a PHOTOBOOTH! This was the smash hit of the wedding, it made for a really cool keepsake for our guests! Where do I even begin to even tell everyone how AMAZING Dj Twix was! My husband and I were completely blown away of what an amazing job he did at our wedding. He went over and beyond to make sure all of our guests were dancing on that dance floor. He read the crowd and played the right mix of music and turned it up at the best time. My feet hurt with the amount of dancing I did. Thanks again Happy Wife Happy Life for being apart of our special day. You were amazing to deal with since day one. My friends who are getting married in the future I will tell them to hire you.